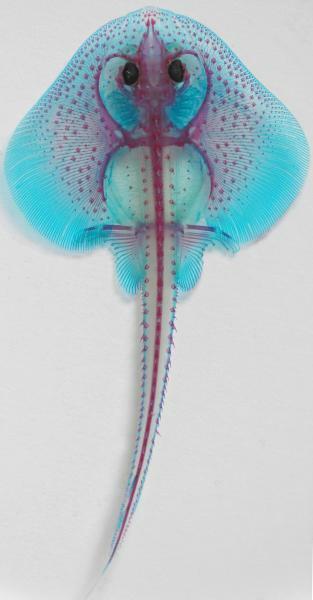 Latest analysis shows that human limbs share a genetic programme with the gills of cartilaginous fishes such as sharks and skates, providing evidence to support a century-old theory on the origin of limbs that had been widely discounted. 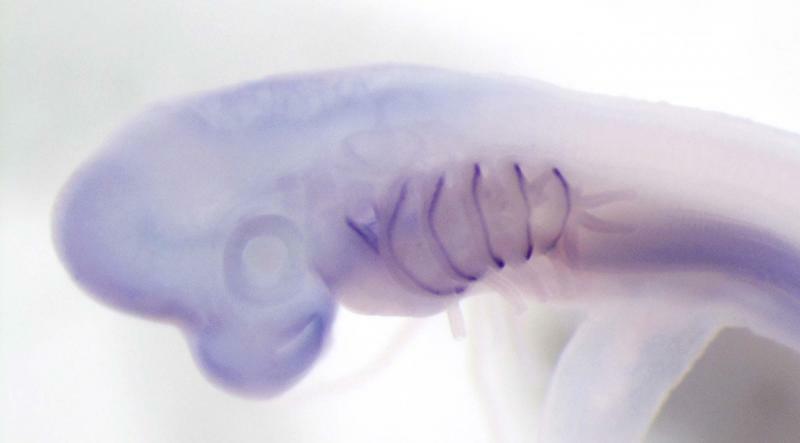 The new research shows that the functions of the Sonic hedgehog gene in human limb development, dictating the identity of each finger and maintaining growth of the limb skeleton, are mirrored in the development of the branchial rays in skate embryos. The findings are published today in the journal Development. This research was funded by the Royal Society, the Isaac Newton Trust and a research award from the Marine Biological Laboratory. 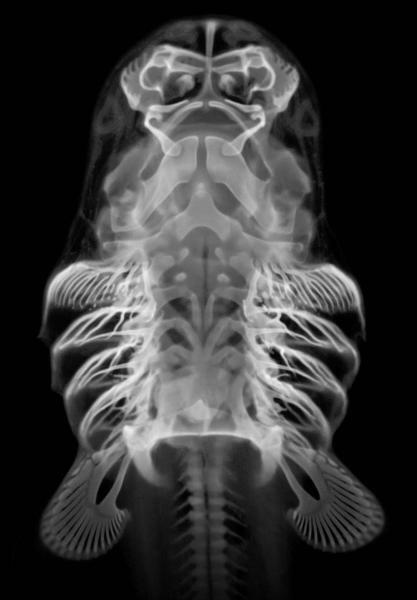 Inset images: Skeletal preparation of an embryonic bamboo shark (Andrew Gillis); A skate embryo that has been stained for expression of the Shh gene - staining can be seen as dark purple strips running down the length of each gill arch (Andrew Gillis); Late stage skate embryo (Andrew Gillis). Head skeletons of skate and shark showing gill arch appendages in red.